Diverticulitis is an extremely unpleasant digestive disease. Those diagnosed know it’s worth taking measures to avoid future episodes. Unfortunately, 1 in 5 will have another flare-up within 5 years (1). This is a research-driven look at what diet changes may help treat diverticulitis, as well as some common myths about what foods to avoid with diverticulitis. 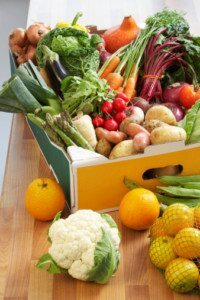 Is It Better to Follow a Low-Fiber or High-Fiber Diverticulitis Diet? 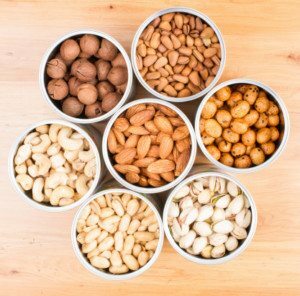 Are Nuts and Seeds Really Diverticulitis Foods to Avoid? What About Red Meat on a Diverticulitis Diet? Can a Low FODMAP Diet Help Prevent Diverticulitis? Were you recommended a low FODMAP diet? Diverticulitis occurs when small pockets in the wall of the large intestine (colon) become inflamed or infected. These small pockets or sacs – called diverticula – are formed when the muscles of the colon become too weak in certain areas. This causes them to push outward and form a “pocket,” which is common in the lower part of the colon. Diverticulitis becomes extremely painful during a flare-up. Even immediate surgery can be required to treat a severe case. Diverticulosis refers to having diverticula that have not yet become infected and painful. 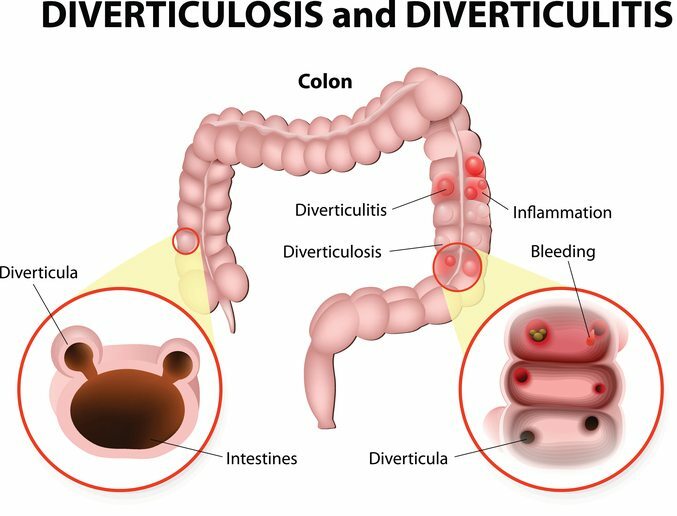 This means diverticulosis always occurs before diverticulitis. ‘Osis’ refers to a medical condition, while ‘itis’ typically refers to inflammation or infection. The risk of diverticulosis increases as we grow older, to about 70% of people aged 80 and above. Fortunately, it only progresses to diverticulitis about 4% of the time (2, 3). Together, diverticulitis and diverticulosis are often referred to as diverticular disease. The cause of this disease is complex and still poorly understood. Researchers suspect it to be a combination of numerous dietary habits, aging and genetic predisposition (4). Summary: Diverticulitis occurs when small pockets in the lining of the colon become irritated and inflamed. Diverticulosis is simply the presence of these small pockets. Diverticular disease refers to either condition. Most are unaware they have diverticulosis until it becomes infected and painful (diverticulitis). Diagnosis is based on a history of symptoms in addition to some medical tests. This can include blood tests, a colonoscopy or radiology as determined by your doctor. Summary: Diverticulosis is usually symptom-free, however diverticulitis symptoms are typically severe and painful. Diverticulitis typically occurs as a painful “flare-up” with sharp pain and digestive symptoms. It’s not uncommon for treatment to require a hospital admission, where the diet is heavily modified to allow the digestive tract some time to heal and inflammation to subside. 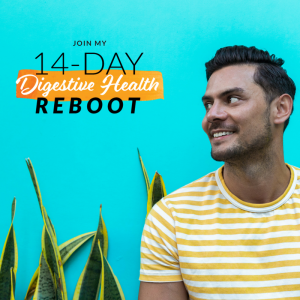 This includes a clear fluids diet for several days followed by a short-term “low-residue” or low-fiber diet and eventually progressing to normal foods. In severe cases of diverticulitis, surgery and regular antibiotic use (typically rifaximin) are required to overcome the infection. However, recent research suggests that aggressive antibiotic treatment is overused, particularly in less severe cases (5, 6). This is why diet and nutrition are incredibly important for managing this disease, not only during a flare-up but afterwards as well. The remainder of this article focuses on long-term dietary management of diverticulitis. Summary: Acute flare-ups of diverticulitis are treated with a clear fluid and low-residue diet for several days to allow the gut time to heal. Antibiotics are definitely warranted in severe cases, but less so otherwise. Probiotics are bacteria we eat for health benefits. Studies show that a variety of different probiotic strains are effective in reducing symptoms of diverticulitis. Particularly those of Lactobacillus casei and Lactobacillus paracasei (7, 8, 9). Probiotics have also been successfully combined with the anti-inflammatory drug Mesalamine to help reduce symptoms of diverticulitis. However, it’s uncertain if they reduce the risk of recurrence (10, 11). The best food sources of probiotics are fermented foods, such as yogurt, quark, Yakult, sauerkraut, kefir, kimchi, tempeh, and miso. Probiotic supplements are also a great option, but recommended strains and dosage have yet to be determined. 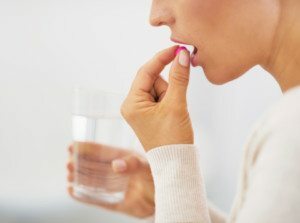 Always buy probiotic supplements (as with any supplement) from a reputable and trusted source. Summary: Research suggests a variety of probiotic strains are effective in managing diverticulitis symptoms. Both fermented foods and supplements are useful sources. Fiber is an indigestible carbohydrate we get from plant foods. 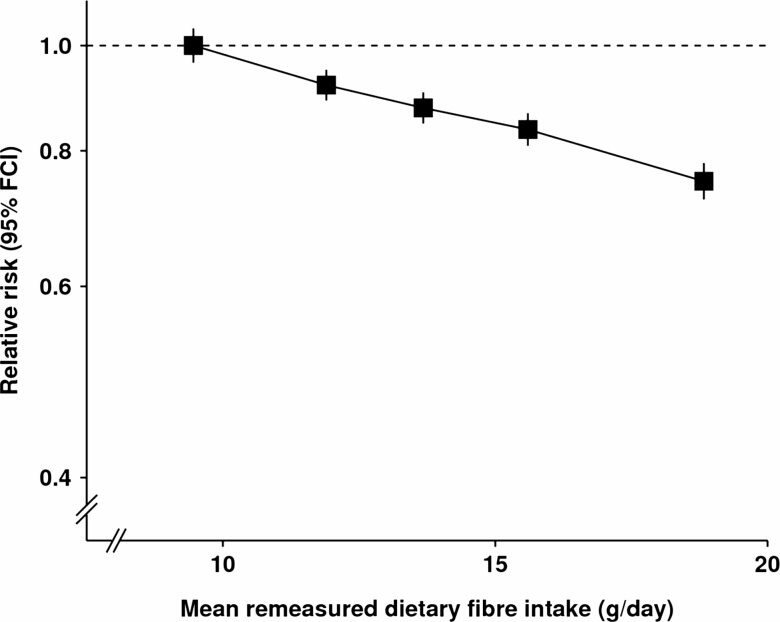 It was always thought that diverticulosis was caused by inadequate fiber intake. However, newer studies suggest it probably doesn’t prevent the diverticula forming in the first place (12, 13). That said, it most likely does help prevent diverticula becoming symptomatic (diverticulitis). One observational study found that those who ate 25 grams or more of fiber per day had a 41% lower risk of being hospitalized for diverticulitis compared to those who ate less than 14 grams per day (14). Another study that followed more than 690,000 women without diverticular disease found that each additional 5 grams of fiber per day was associated with a 15% reduction in risk of diverticulitis (15). Considering that fiber intake has other known health benefits, such as promoting regularity of bowel movements and maintaining a healthy gut bacteria, it makes sense to recommend a high-fiber diverticulitis diet. Additionally, today most people only consume half of the recommended amount. Women should aim to get at least 25 grams per day, while the average man should have at least 38 grams per day (16, 17). However, with that said, there is no reliable evidence that a high-fiber diet improves symptoms or prevents complications in diagnosed cases of diverticulitis. A recent review of 19 studies (9 looking at dietary fiber, 10 at fiber supplements) was unable to make any firm conclusions because each study varied so greatly in how they were conducted, the type and amount of fiber used, among other things (27). So there is no definite answer, which helps explain why the Danish and Polish guidelines recommend fiber supplements, whereas the Italian guidelines argue somewhat the opposite (28). Basically fiber supplements are an option, as is a high-fiber diet, but unfortunately a bit of trial and error is the only way to see what sits better with you. Many people report doing better on a low fiber diverticulitis diet, which overlaps heavily with a low FODMAP diet (more on that below). And as mentioned above, a low-fiber diet is definitely recommended following a flare-up. After a few days on a clear fluids diet, you can progress to boiled and soft foods, including cooked fruits and vegetables (without skins), as you slowly increase your fiber intake. Summary: A high fiber diverticulitis diet is strongly associated with a reduced risk of developing diverticulitis. However, for those who already have diverticulitis and need to manage symptoms, it’s unclear whether a high or low fiber intake (supplements or food) is more beneficial. 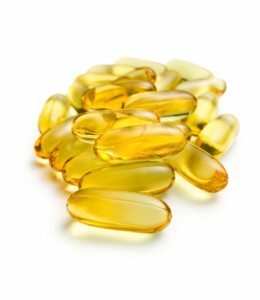 There is increasing evidence that our vitamin D status may influence risk of gastrointestinal diseases such as Irritable Bowel Syndrome, Inflammatory Bowel Disease (including Crohn’s disease) and diverticulitis (18). A recent study in those with diverticulosis found those with the lowest vitamin D levels were significantly more likely to experience a diverticulitis flare up (19). So it’s important to have your vitamin D levels checked with your doctor, particularly if you don’t get much regular sunlight exposure. Unfortunately, natural food sources of vitamin D are not very useful if you have a deficiency. This is one of the few instances where supplementation is far superior to food. Summary: Low vitamin D levels are linked to increased risk of diverticulitis. Get screened for a deficiency with your doctor. A simple search for “foods to avoid with diverticulitis” or “what not to eat for diverticulitis” will show you nuts and seeds, corn and popcorn. You will also find recommendations to avoid seeds in fruits and vegetables like tomatoes, zucchini, cucumbers, strawberries and raspberries. In fact, for years we’ve been taught these foods can literally get stuck in diverticula, causing irritation and eventually diverticulitis. But this theory has never been proven, and research actually shows no link. A large study in 47,228 men found no associations with nut, corn, or popcorn consumption and diverticulitis, after 18 years of follow-up (20, 21). In saying that, anecdotal evidence (patient reports) consistently suggests that seeds are an issue, such as sesame seeds on a bread roll. So evidence is really a mixed bag, it might be better to err on the side of caution and avoid seeds at least. I wish I could give a more concrete recommendation but there really is no consensus at this stage. Summary: Nuts, seeds, corn, popcorn and fruits and vegetables with seeds may be safe to eat with diverticular disease, but the current scientific evidence clashes with patient reports. It might be a good idea to avoid seeds just in case. The idea that red meat intake increases diverticulitis risk is unproven. It was formed on the back of observational studies that found vegetarians were much less likely to develop diverticular disease than the average person. 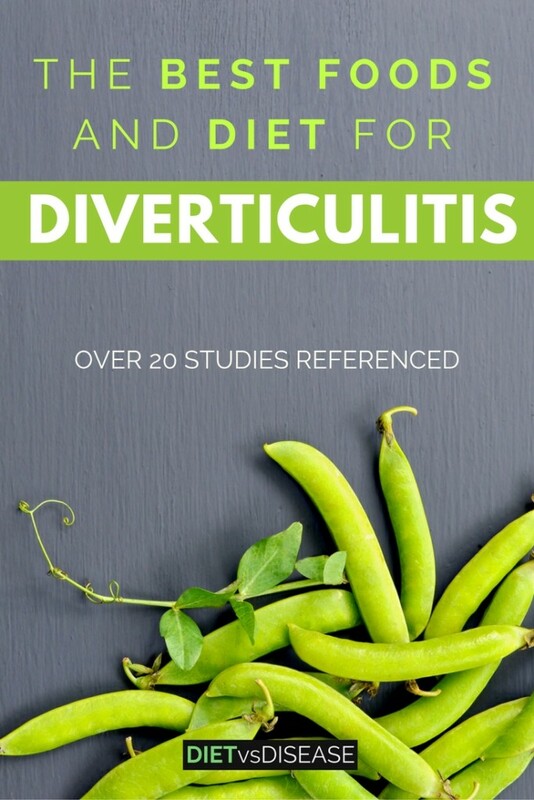 A recent study also found that a “Western” dietary pattern (including red meat, refined grains and high-fat dairy) was associated with an increased risk of diverticulitis versus a “prudent” diet high in fruits, vegetables and whole grains (22). But the reason vegetarian and vegan diets are advantageous is because they’re almost always higher in fiber than the typical Western diet. Additionally, non-meat eaters tend to be more health-conscious than the average person (23, 24, 25). So it’s considerably more likely the benefits lie in eating more fiber, rather than cutting meat or animal foods. That means you should follow whatever eating pattern will help you eat more vegetables, nuts and other high-fiber foods. If going vegetarian will help you achieve this, and is something you can do long-term, then do that. 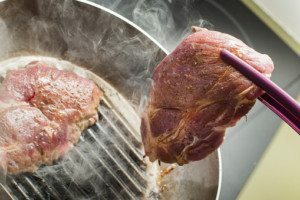 Summary: The idea that red meat increases risk is unproven. Vegetarian diets appear protective because they are typically higher in fiber. Newer research is finding that a low FODMAP diet may help prevent recurrence of diverticulitis. In fact, researchers believe that a high-fiber diet (basically high in FODMAPs) may be linked with IBS symptoms. Because of this, some recommend a low FODMAP diet for people with diverticulitis as well (26). This makes sense given that the literature around benefits of a high fiber diet in diverticulitis is severely lacking (discussed in a section above). See this Beginner’s Guide to the low FODMAP diet to learn more about this fascinating diet. Summary: New research shows that following a low FODMAP diet may help prevent recurrence of diverticulitis. This is a sample 4-day meal plan or menu for diverticulitis diet based on recommendations outlined in this article. But it’s certainly also appropriate for the average person with diverticulosis who wants to minimize the risk of getting diverticulitis. 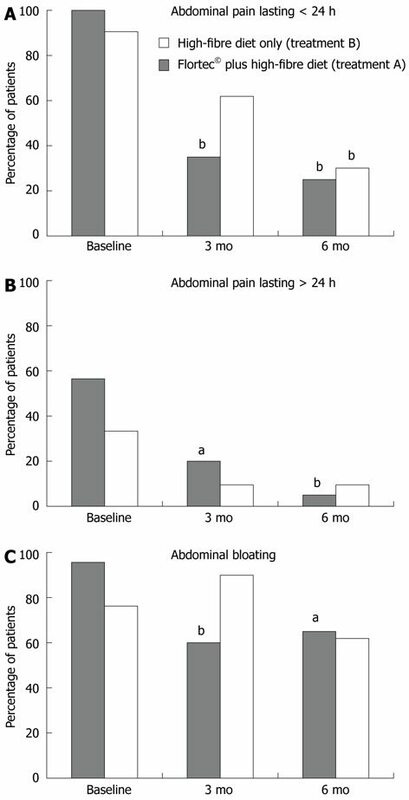 Note that I’ve modified this to be low FODMAP, as the new evidence strongly indicates minimizing problem FODMAPs is beneficial for diverticulitis patients. Check out the full list of FODMAP foods and drinks, plus their recommended portion sizes. Portion sizes of low FODMAP foods is extremely important for a diverticulitis diet, so please make sure you are not exceeding the recommendations. You can also find additional low FODMAP recipe ideas here. Breakfast: 2 eggs (made any way you prefer) on 2 x plain white gluten-free bread + 1 cup of spinach/aragula/rocket drizzled with olive oil and salt. Dinner: Chicken/beef/fish (any quantity) +1 tbsp ketchup/BBQ sauce/mustard + 2 small boiled potatoes + ½ cup broccoli. Dinner: Salmon baked in foil in the oven with sliced lime and chilli on top, served with 1/2 cup steamed zucchini and squash, and boiled basmati rice. Remember that you may also want to consider vitamin D and/or probiotic supplementation alongside a health eating pattern. However, there is very little evidence it helps minimize symptoms in those who have already been diagnosed. In fact, newer research suggests that following a low FODMAP diet may be the most beneficial in preventing diverticulitis from recurring. There is also some evidence that probiotics (particularly some strains of lactobacilli) are useful for treating symptoms. However, researchers are unsure they help prevent recurrence. Also consider vitamin D supplementation if you have low levels. Lastly, there is little evidence that cutting meat or nuts and seeds from your diet is beneficial. If anything, nuts are more likely protective, while seeds are still a bit of a mystery. Still, each person’s experience is different. You may find that certain foods worsen your symptoms and are best avoided. Remember that diverticulitis is a disease influenced by many other factors too, including obesity, stress, physical activity levels and smoking status. I hope this article cleared up some of the confusion for you. Let me know what helps or aggravates your symptoms in the comments. Tutorials videos and loads more.